For successful summer holidays in the mountains, book your accommodation to Isola 2000 in Southern Alps massive, Alpes Maritimes. This mountain resort will offer you exceptionnal areas and surprising landscapes. Your summer accommodation to Isola 2000 will be for you a moment of wellness in the heart of a beautiful nature and you will spend holidays in wide open spaces. Our moutain offers will make you live warm emotions with all your family. We propose you quality holidays accommodation in all French massives, in the heart of mountains. We have many residences to rent for your summer to Isola 2000. Let yourself be carried by a feeling of happiness, enjoy the summer holidays in the mountains full of sun and discoveries ! All was thoroughly studied to offer a pleasant and cordial framework to you. The apartments of Residence MMV Les Terrasses d'Isola*** benefit from a site privileged, at 200 m from the heart of Isola 2000 ski resort and ski runs. Its south-western exposure will enable you to profit from a maximum sunning that you will be able to benefit your suitability. This holiday club is well-equipped, with a heated indoor swimming pool and a 200 m² relaxation area. The residence Le Pelevos is located in the heart of the resort of Isola 2000, at the foot of the hiking trails, above the shopping center and near all the leasure activities. 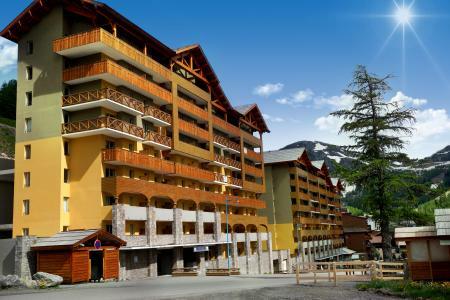 The residence Le Vermeil is located on the Snow Front area, at the beginning of the pedestrian walk, just near the shopping hall, and of the main resort activities of Isola 2000. Chalets du Mercantour are located in the Hameau, on the South side of the resort of Isola 2000. You will be at 1km from the centre of the village. Chalets are in a pedestrian area. You can access to the chalets by stairs or by walkways. This residence fits perfectly into the resort's natural surroundings, made of pine and larch trees, with its wooden façades and balustrades. Overlooking the resort, it is located at 500 m from shops and services. 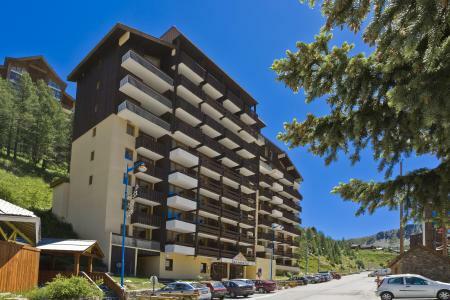 The apartments are equipped with all modern conveniences and enjoy a panoramic view over the Chastillon Valley. The residence Les Pincembros is located at the heart of the hamlet, on the south facing side of the resort of Isola 2000. The center of the village is at around 15 minutes by walk. Les Adrets residence (with elevator) is located in the heart of the resort, near from the shops. All the apartments are well equipped with balcony and profit of a south exposure. Just 90km from Nice, Isola 2000 is located in the perfect place, basking in the southern sunshine. The resort pulls out all the stops in the summer and will catch your eye. The Residence Chalet Harrod's is located at the beginning of Isola 2000 resort. Shops and main pedestrian walk are at around 5 minutes by walk. Its location will allow you to have a great stay, close to every conveniences. The Residence Les Terrasses d'Isola is located in the centre of the resort of Isola 2000, on the South Side. You will find shops at 150m from the residence. You will be near a lot of hiking trails ways. Discover the largest view over the Mercantour. The residence les Chataigniers is located 800 m from the resort center of Isola 2000 and shops. It is situated in Le Hameau district, a quiet place for relaxing holidays.